Doughnuts! They are so all the rage right now! And I completely buy into it. They are popping up everywhere – TV shows devoted to them, shops just selling doughnuts, recipes galore. I love it. I’m into this new trend. But I realized that as much as I want to make them, I rarely ever make doughnuts. With the amount of time it takes to make, the quantity it produces and the short shelf life, these are much better in a crowd. So when I found out that my parents were coming into town for Father’s Day weekend, I decided that this was the perfect time for me to attempt…croissants! Seriously, that’s what I was planning on making. But nope, my dad wasn’t going to have it. This was his day, and he was going to capitalize. He looooooooooves doughnuts. Boston Cream, in particular. And my mom haaaaaaaates that he eats them. But it was Father’s Day, after all, which made it a judgement-free eating day. He said no to the croissants. Doughnuts were all he wanted! Guess he didn’t know about these. Realizing that this day was actually not about me, I made my dad’s dream Father’s Day breakfast. He limited himself to just two, but that was only because he had a cinnamon bun earlier in the morning. Judgement-free, remember? I should have just made the croissants as well. These doughnuts are time consuming – you need two days to make them, but they were actually easier than other doughnuts I have made in the past. So do it! There is really nothing better than a fresh doughnut. The day before: In a medium sized pot, heat milk until scalding, just before the boiling point. While the milk is heating, in a medium bowl, stir together sugar, salt, flour and cornstarch. Whisk in egg yolks until the mixture is thick and well incorporated. Slowly incorporate the heated milk by drizzling into egg yolk mixture, and whisking constantly, until all of the milk is mixed in, into a smooth liquid. Transfer back to the pot. Heat on low heat, whisking constantly until the it starts to thicken – it will take about 3 minutes. Take off the heat and whisk in vanilla. Transfer to a bowl and cover with plastic wrap directly on the cream and refrigerate overnight. Heat everything in a microwave in 30 second intervals until a smooth glaze forms. 7 tbsp. butter, at room temperature, cut into 7 or 8 pieces. The day before: In a stand mixer fitted with the dough hook, or with a handheld mixer, stir together the yeast and milk until mixed together and then let it sit for 2 minutes, so the yeast dissolves. 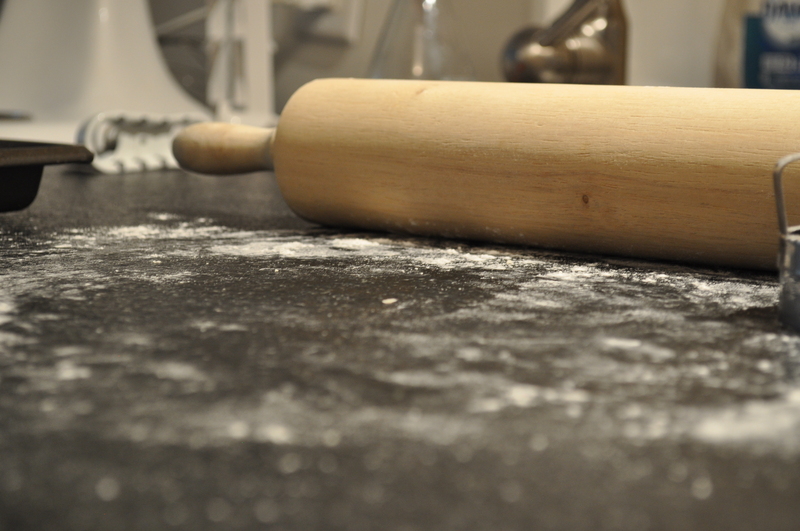 Add flour, 1/3 cup sugar, salt and eggs and mix on low speed for about 3-4 minutes until the dough is well combined. Add the butter, piece at a time, until it is full incorporated into the dough. This whole process should take about 6-7 minutes. Remove the dough from bowl and wrap into plastic wrap and refrigerate overnight. The day of: Sprinkle a baking sheet lightly with flour. Flour a clean surface and roll out doughnut dough until it’s about a 12inch square, and 1/2 inch thick. Using a 3 inch biscuit cutter, cut out as many rounds as you can within the square without re-rolling any scraps (so cut out each circle close to each other). Place each of the rounds on the baking sheet and wrap lightly with plastic wrap. 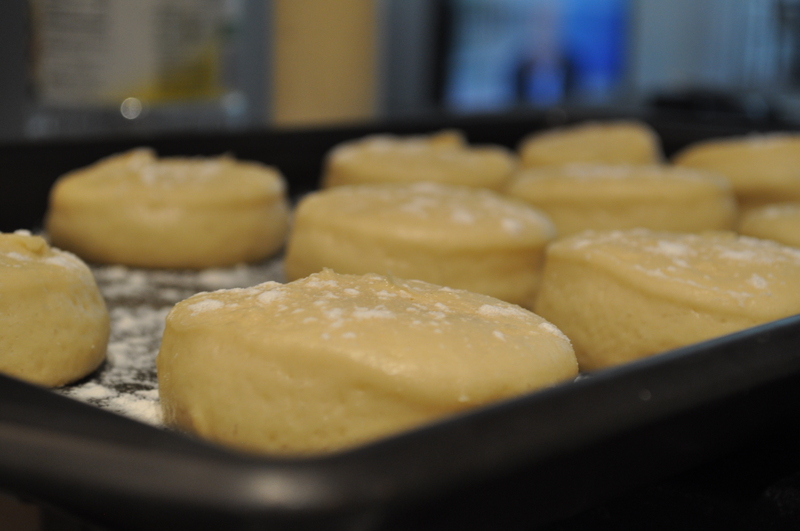 Allow the doughnuts to rise in a warm place for about 2.5 hours until the look big and soft. 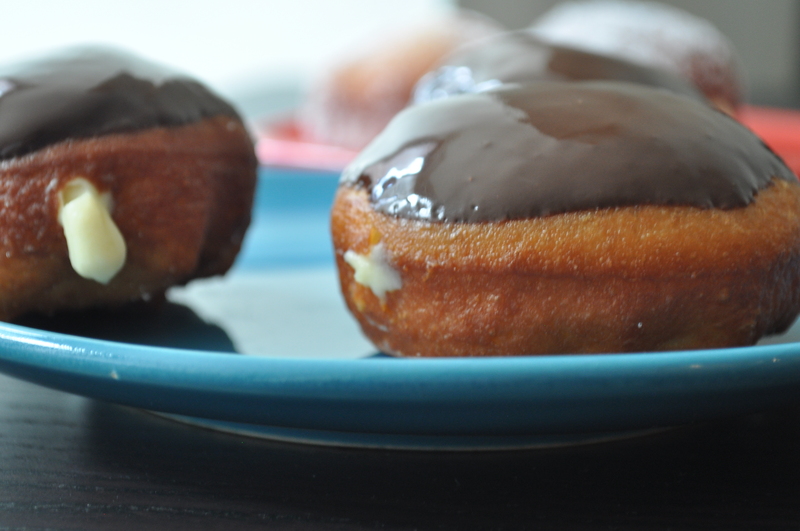 Make chocolate glaze right before you are about to fry the doughnuts. When getting ready to fry, place the remaining cup of sugar in a shallow baking pan, or plate. Line a tray with paper towels, and heat oil to 350 degrees. You will need enough oil to have a depth of 3 inches. Working in batches, when the oil is ready, place 2-3 doughnuts, depending on the size of your pan, into the oil, and fry about 2 minutes on each side, until they are golden brown. Using a slotted spoon, place the doughnuts onto the paper towel lined tray, and then into the sugar to coat. Place the doughnut onto a wire rack. Continue this process until all of the doughnuts are fried and coated in sugar. When the doughnuts are cool to the dough, pipe vanilla pastry cream into the center of the doughnut. 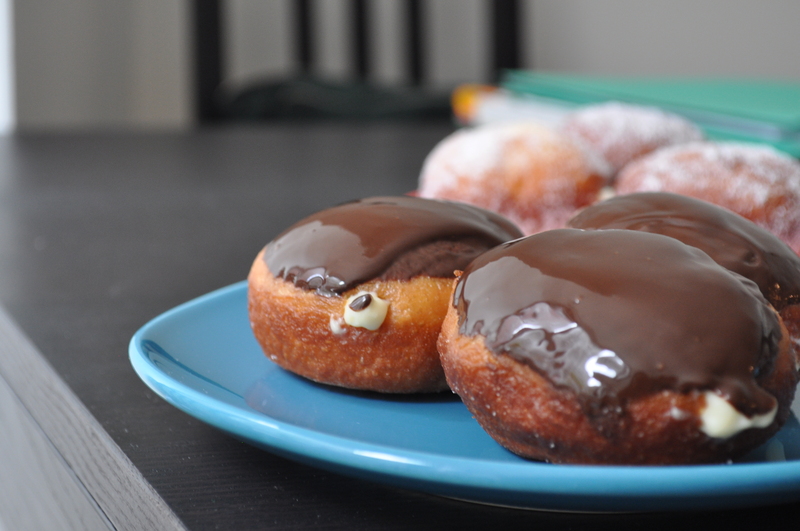 Dip the tops of each doughnut into the chocolate glaze. Woo, you’re done! It’s summer! Make some juice! 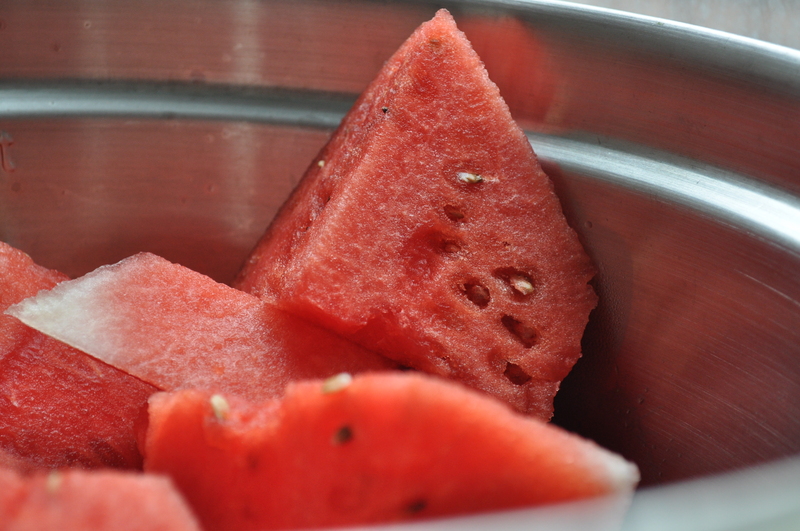 Chop up watermelon and cucumber and throw in the blender with mint and lime juice and whiz away. 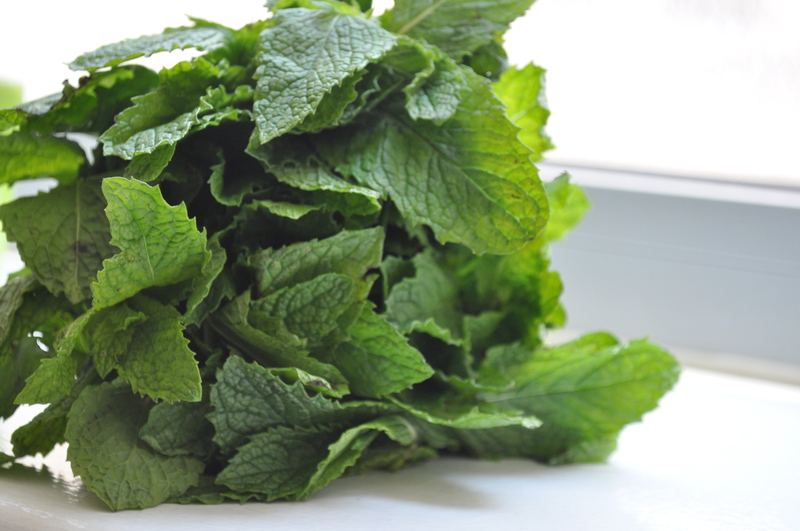 If it needs some help along the way, add a bit of water – about 1/2 cup. 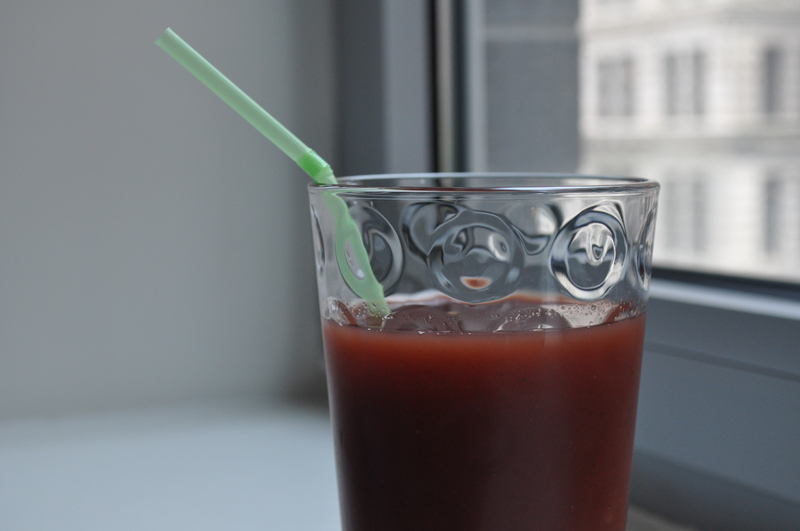 Chill and then enjoy, preferably outside, in the sun, and with a straw. This recipe, my friends, was a test of patience in so many ways. 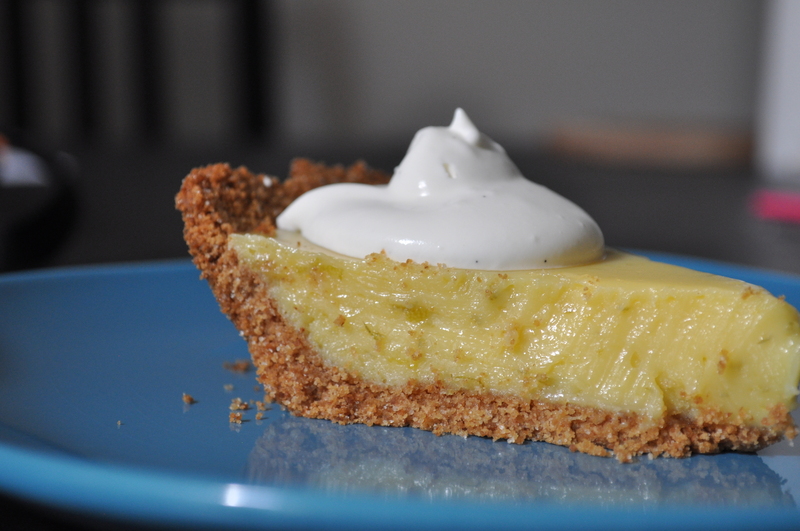 Key lime pie is something I’ve made so many times! Successfully, even! I love it – it’s by far one of my favorite desserts, and I especially like how easy it is to make. This is all because I have never used actual key limes before. 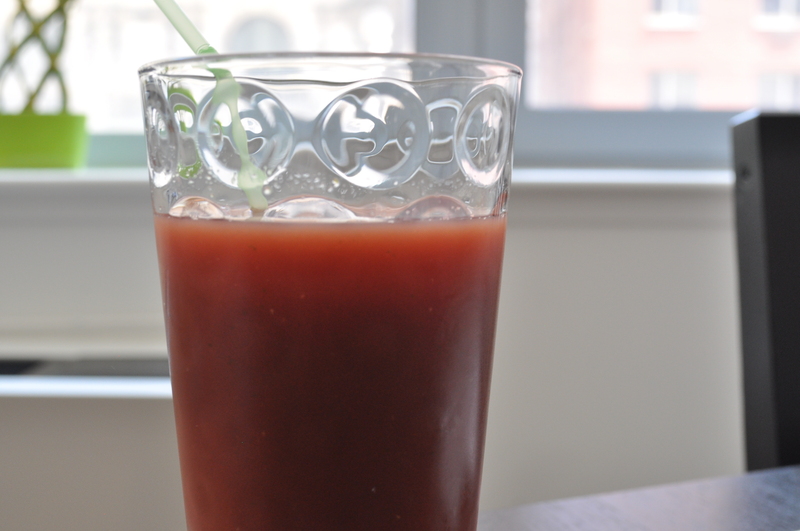 I, um, always used bottled key lime juice. Stop judging me! 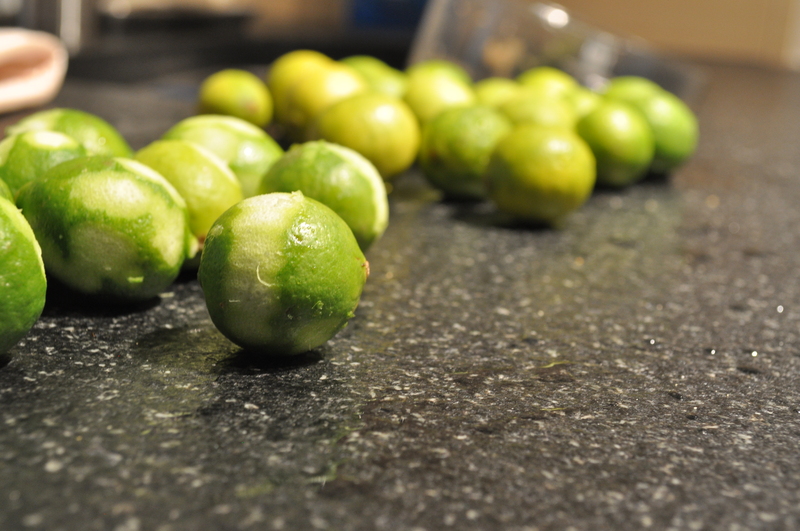 Have you ever seen these miniature limes?! They’re tiny! And filled with so many seeds, and, seriously, nearly impossible to juice. While you are attempting to get the droplets of juice out of the actual fruit and into your measuring cup, they make your hand cramp up! And then you will see that you need to juice about 20 more to fill that measuring cup. And then you will have a little cry. I speak the truth. At least this is what happened to me. But, of course, I was in it (to win it). And I wasn’t going to stop mid way (although I seriously considered it*). So I persevered and made the pie. And I waited. And waited, and waited. 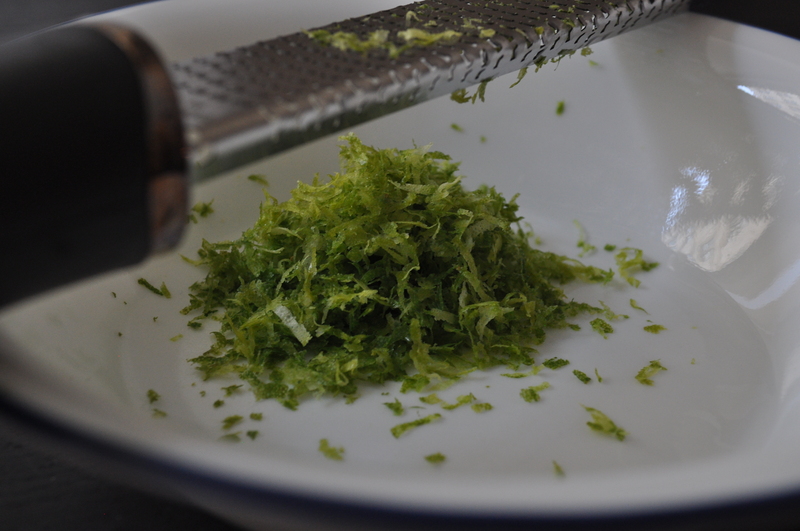 Because, of course, the most vital step for a key lime pie is for it to be chilled. But after all of that work, all I wanted was a slice of pie. So I dug into some while it was still warm. “Bitter”, I believe, was the word used to describe the pie. The sadness multiplied. But then, because I believe in second chances, I let it chill overnight, and had a slice for breakfast, and it was exactly how you want any key lime pie to be. 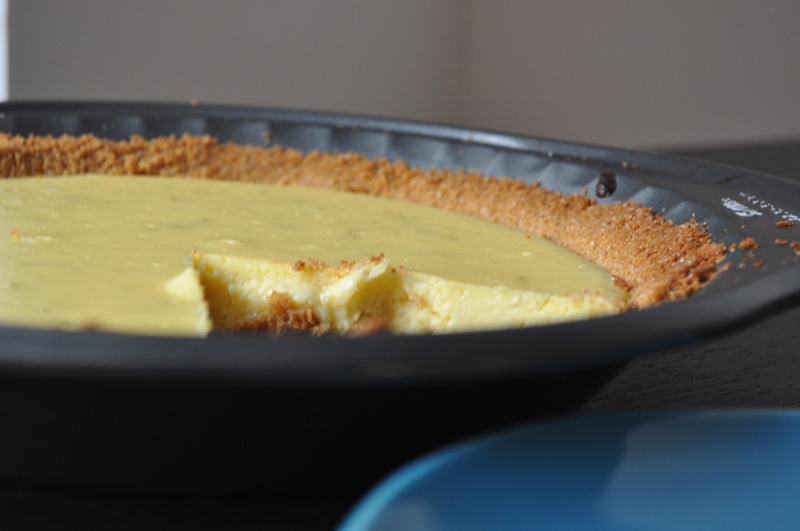 Tart and sweet and creamy and deliciousness. 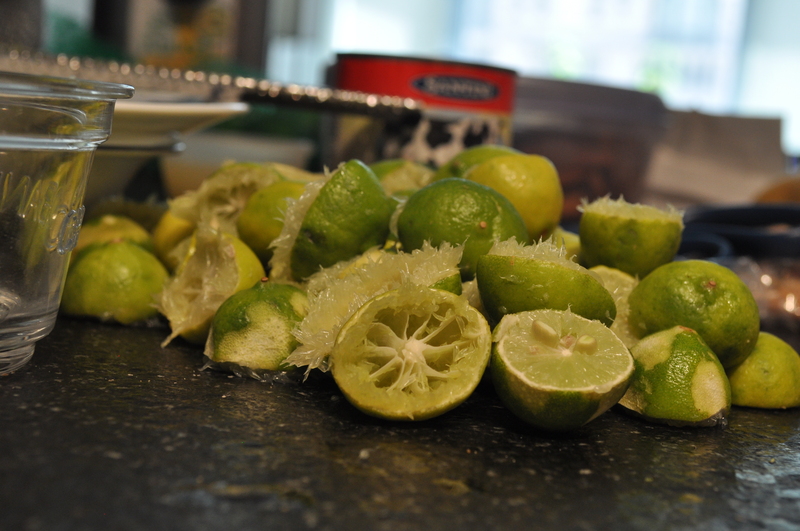 Fine, fine…key limes win. *Especially when I decided to make lunch in the middle of the pie-making extravaganza. Avocado tostadas were on the menu. When my sister took the limes, of the non key lime variety, to juice onto the avocados, she muttered “man, these limes are really juicy!” and that just made me sadder and I almost gave up. Preheat oven to 325°F. In a food processor, or by hand, crush graham crackers until the form fine crumbs. Mix in the rest of the ingredients until the crust comes together. Press into a 9 inch pie or tart plate and bake for 10 minutes, or until lightly browned. Let cool completely. In a medium bowl, whisk together all of the filling ingredients until well combined. Pour into the cooled pie crust. Bake for about 18 minutes, or until the filling is just set. 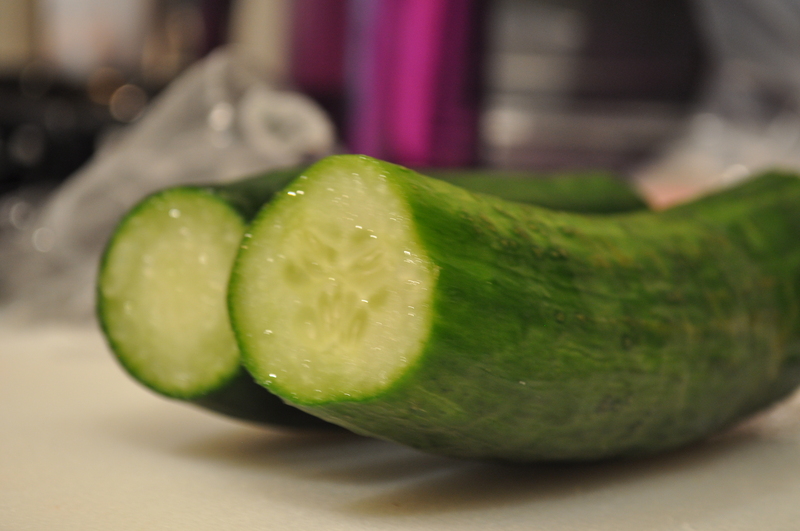 Let cool completely, and then refrigerate until completely chilled, at least 4 hours. Serve with whipped cream, recipe below. In a deep bowl, whisk together the whipping cream, sugar and vanilla. Either by hand or with an electric mixer, keep whisking until soft peaks form. 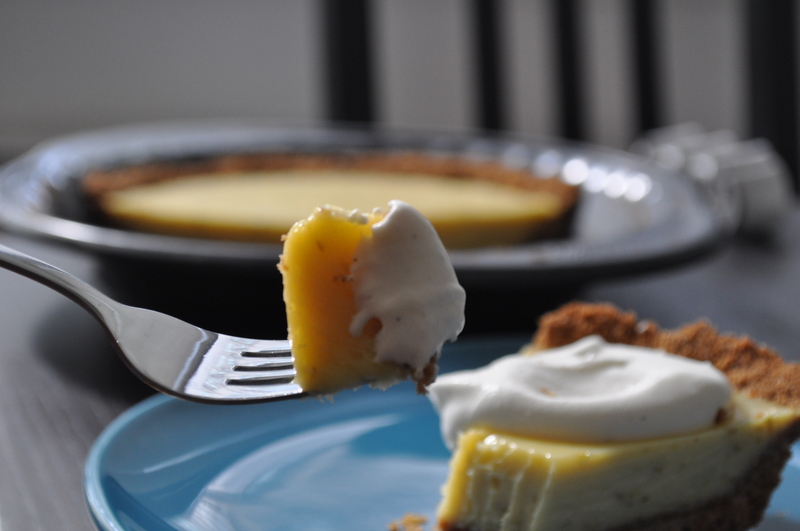 Dollop onto each piece of pie.